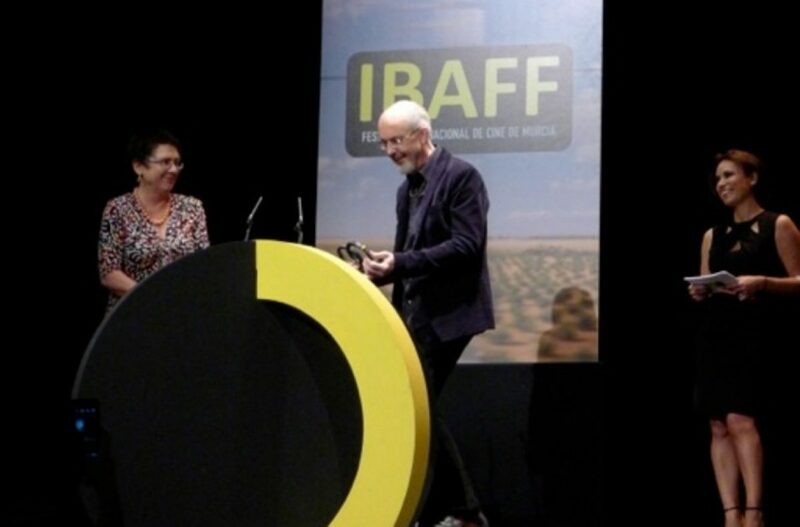 Bill Viola received the 1st Annual Barzaj Award for Creative or Artistic Endeavors inspired by the mystic Sufi Master Ibn Arabi at the 2nd International Ibn Arabi of Murcia Symposium in conjunction with the 4th Ibn Arabi Film Festival of Murcia. The Symposium is an International forum about the teaching of Ibn Arabi, a mystic Sufi master who was born in Murcia, Spain in the 12th Century. Titled “Symbol and Creative Imagination," the Symposium focused on the theme of creative imagination and its relation to the symbolism in the work of Ibn Arabi. Sponsored by the Muhyiddin Ibn Arabi Society in Spain (MIAS – Spain) and coordinated by master Pablo Beneito, the symposium strives to promote the universal importance, the deep significance, and the stated relevance of Ibn Arabi’s life-giving thoughts.